1. I have not yet read Wolf in White Van, (but I hear good things). I also have not read (Black Sabbath’s) Master of Reality, (but I also hear good things). 2. Universal Harvester. The cover is pretty dope-looking. (Plus, it’s sorta cool that advance reader copies came in a VHS case). 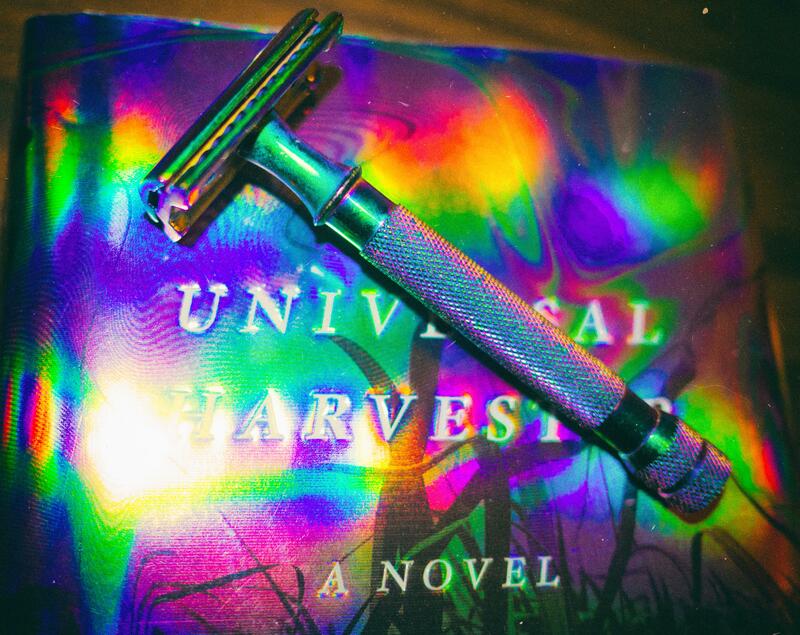 It totally vibes with my anodized rainbow finish razor. (That’s 2 for 2 Darnielle, tho, I am not actually counting Master of Reality). 3. But hear me out. I want to get this out of the way, like, right away: the book is marketed as horror and perhaps maybe even a little bit mystery. It’s none of these things, really. Or rather, the story isn’t horror in the way you’d expect it to be horror. And it’s also not mystery, in the classic sense of the word, mystery. It’s a little bit of both, and then some. 4. I’m not taking points away from the book either, because of this, no. It’s not Mr. Darnielle’s fault. 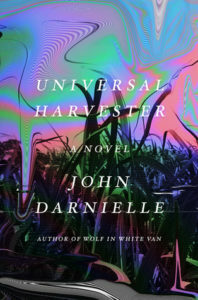 Rather, he did this on purpose, and I applaud him (in a way) because of these things—Darnielle is trying to do something new & interesting here and, as you might expect, the average reader is not going to be so into that (I’m guessing). (Maybe the not-so-average reader, as well). The narrative is sort of non-linear (so be prepared for that). 5. 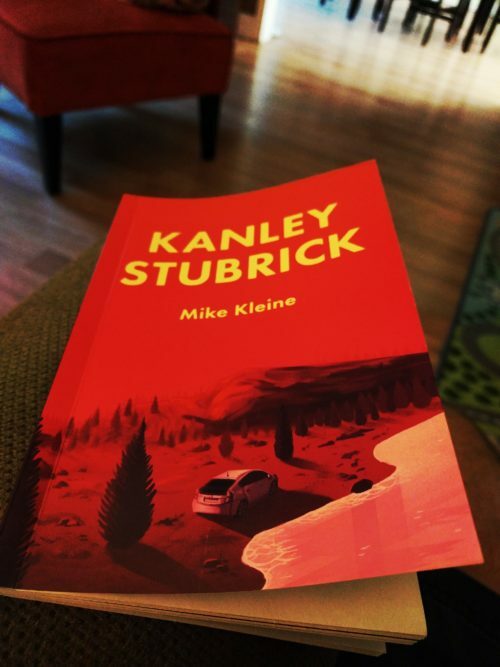 I must confess, tho, to what intrigued me initially—what made me want to read the book as soon as possible—the story takes place in Iowa (I got my BA from a school in Iowa, this is no secret; and actually, the town where I went to school is mentioned, pretty early on). Also, the fact that it has something to do with VHS culture and film. (I have never seen The Poughkeepsie Tapes but the idea of VHS tapes and weird things happening on VHS tapes made me think of this film, for whatever reason). Noah Cicero wrote a new book in 2013. It’s called GO TO WORK AND DO YOUR JOB. 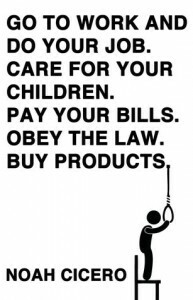 CARE FOR YOUR CHILDREN. PAY YOUR BILLS. OBEY THE LAW. BUY PRODUCTS. But I’m going to call it GO TO WORK. GO TO WORK is a political thriller about a man who gets a job at a prison-treatment-center called NEOTAP (you never find out what this means btw) and, pretty much, wow—after that, things start to get crazy. It’s like: WAITING FOR GODOT meets the second season of the television series LOST meets DAVID LYNCH meets BLAIR WITCH PROJECT meets the book 1984 meets IT’S ALWAYS SUNNY IN PHILADELPHIA meets the movie CUBE meets BRAVE NEW WORLD meets SVU meets ARCHER meets the book ANTHEM meets FIREFLY meets the play NO EXIT by Jean-Paul Sartre meets THE TRIAL by Franz Kafka meets the movie WHITE LIGHTNING meets the book THE POSSESSED meets LOCK UP. There are two main characters: Michael Scipio and Monica Whitten. The book is told in the first-person and third-person past tense in two parts: Part One and Part Two. Part One is Michael. First person. Then Part Two. Monica. Third person. Semi-spoiler alert: After Part One, Michael goes missing—disappears—and Monica becomes the main character because she decides she needs to find out what happened to Michael. The book is set in 2011 and it’s about what it means—what it’s like—to live in the real world. In America. The United States. Right now. It’s about being young. About needing to find a job. About finding that job. About needing that job so you can have access to healthcare. About falling in love. About betrayal. About deception. Needing healthcare. About following orders. About forgetting what you’re supposed to be doing sometimes. About feeling like you need healthcare real bad. About wondering if what you are doing is the right thing. About meeting people’s parents for the first time. Healthcare. About doing something crazy because maybe you think you are in love. About taking prescription drugs because they make you feel good. H-E-A-L-T-H-C-A-R-E. And about disappearing too. It’s a lot about disappearing. In the chapter ‘Under a Bed,’ a NEOTAP resident, who is Mexican, disappears, and no one seems to care. Imad looked at me. He didn’t have a facial expression. He listened like I was explaining something that didn’t matter to him. GO TO WORK is a departure, basically, from everything [else] Noah Cicero out there. It’s got, like, a plot. And two main characters. Remember: this is a political thriller by a guy who is known for writing alt lit! There are so many beautiful characters and so many different layers to everything and so many cool things that happen; and so much super-philosophical stuff about life—it’s everything you love and know about Noah Cicero and the way he writes. But GO TO WORK is also a very scary book. Or, I guess, if you want to look at it as something that can be scary—it’s scary. Noah Cicero discusses several important real-world issues. He looks at how things right now have changed from how they were in the recent past (and the ancient past). How things right now are probably going to become very bad very soon. How things are probably not going in the right direction for the world and the environment and the people in the world. How there are some people, right now, out there in the world, who are willing to do whatever it takes, basically, to change the world. And others, who want to keep the world the way it is, no matter what, at any cost. Noah Cicero also looks at how sometimes, where you work, you may not like where you work. How sometimes, you really don’t know what’s going to happen in the end. And how really, the world is just a scary place to be. All these themes are pretty much classic Noah Cicero. On Facebook, Noah Cicero said it might take 6 hours to read GO TO WORK. I agree. GO TO WORK—you could read all in one sitting. And everything is written in that very-easy-to-follow Noah Cicero prose. Basically, Point Omega was challenging. I paid attention to what was being said (for the most part) and yes, I even took notes, but still, I don’t think I get Point Omega, or, I don’t think I get all of Point Omega. But this is a good thing because I like how I am feeling right now: dumb, confused and (for some reason) mediocre/inferior—all at the same time. Of course, this is (still) my (initial) reaction to Point Omega, since I have only read it once (though I’m not sure I will be reading it again anytime soon) but this, in general, is a new type of feeling for me. It’s a feeling of deep-rooted confusion, weakness and extreme anxiousness. Usually, I’m more into books that make me feel powerful and strong and happy but, sometimes, I guess I like the mind-fucks too. And I’d like to think I am able to understand most things, and conceptually, I (think I) understood most of what was going on in Point Omega but also, not really. But that’s the point I think! Let’s develop this. 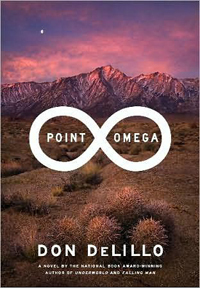 The way I see it: Point Omega is about the things that are around us, and (then, also,) the things that aren’t. Or, the things that we can see and then, the things we cannot.